One of the coolest things about new Distress Oxide inks is that you can easily layer the colours and create vibrant colour combinations. 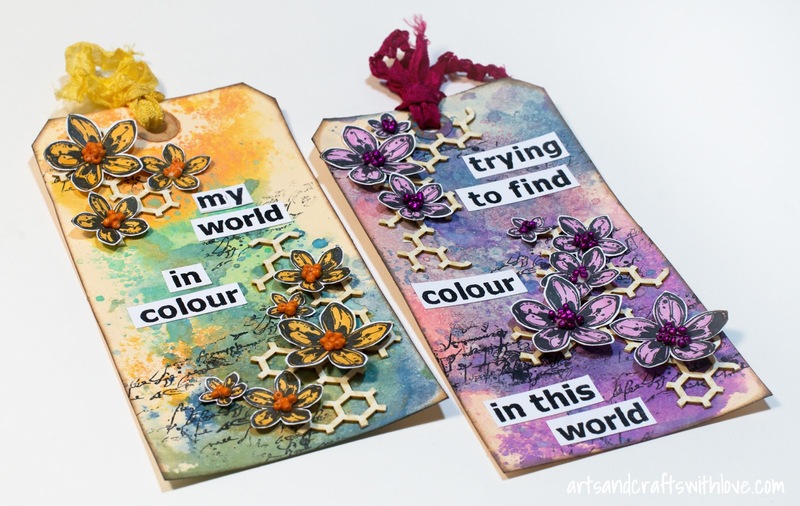 Just dry each colour layer with your heat gun before applying the next layer; new layers will not react with the ones underneath. 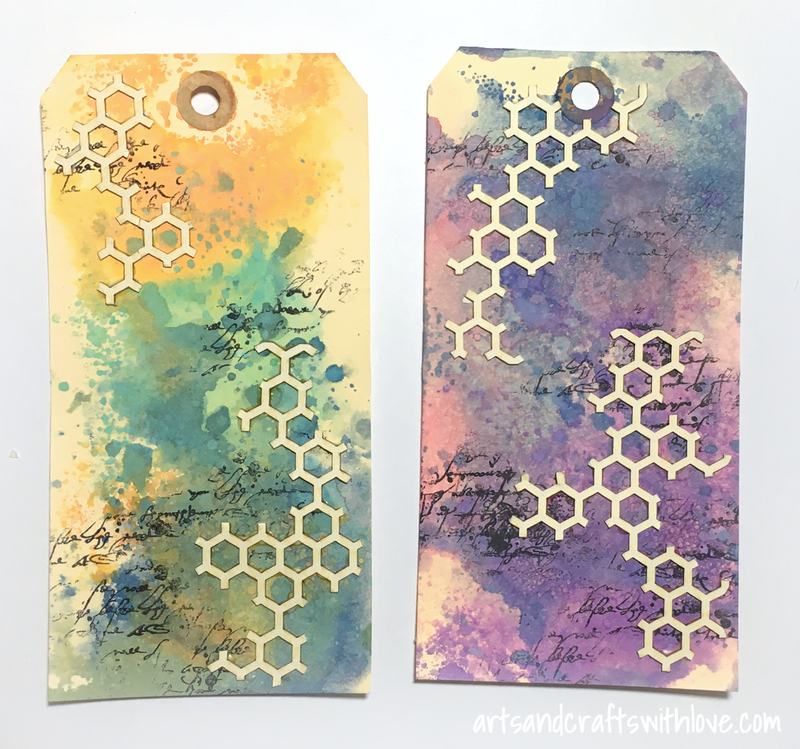 For both of these tags I used three different Distress colours. For highlighting the colours even more it's always a good thing to use a bit of black or white for contrast; those will make the colours pop! I added a hint of black with a VI script background stamp. 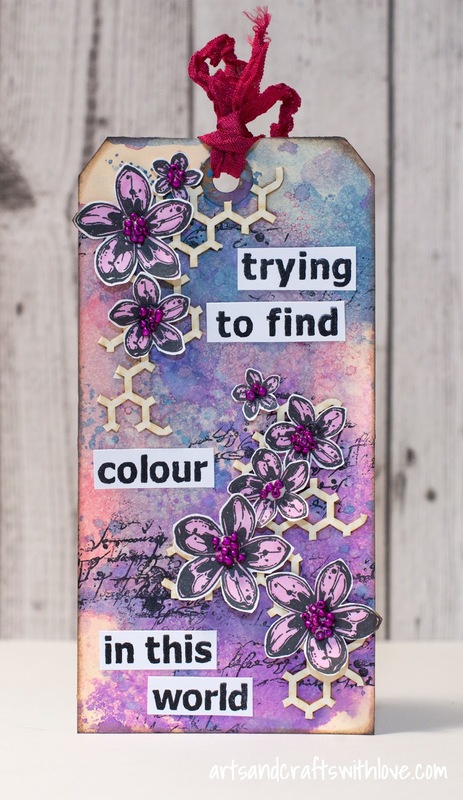 I did not use a mounting block but held the stamp it in my hand, bending it when stamping the texture on the tag. Then I stamped the lovely flowers in three sizes on white paper, coloured them with Promarkers and cut out. Before gluing them on the tags I bent the flower petals gently for creating a dimensional look. I decorated the flowers with small seed beads. As much I love the quote text on the 'Black & White World' stamp I had to cut it to smaller pieces in order to fit the texts on the tags. In addition I did not want to cover the colourful background complete with the word strips, so leaving out parts of the quote was the way to go this time. 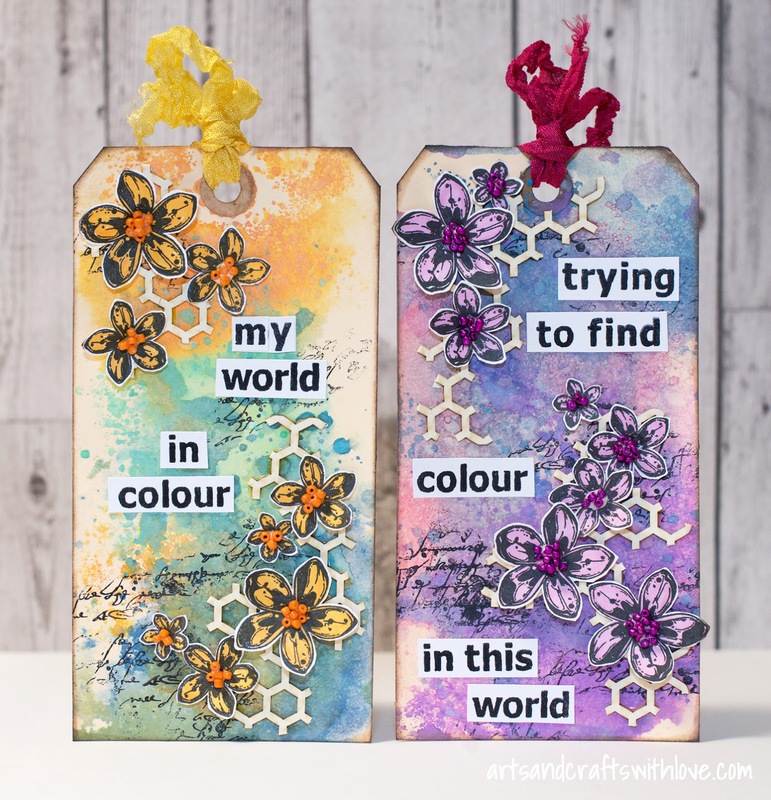 Reassembling the quote on both of the tags was actually a fun thing to do; versatile stamps can be used in so many ways! Hi Elina. These tags are so beautiful. 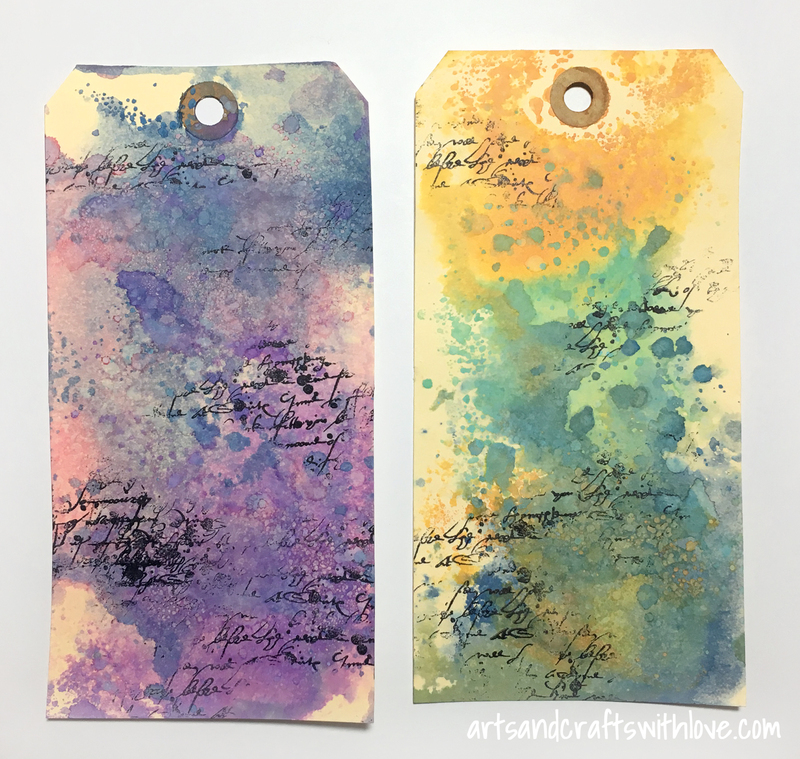 The oxide inks look so good, I can't wait till mine arrive. Great tips on using them. Thanks.